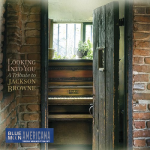 We’ve got new Americana from Courtney Granger, The Devil Makes Three, Amanda Shires, and so many more; and we’re including vintage sounds…well, digging deep into four decades past…from Jackson Browne, Danny O’Keefe, and Paul Thorn. A little bit of bluegrass, some country pop, and a whole lot of Americana sounds will fill the air this morning…but only if you’re ready! Tune into community radio for Sonoma County.